“Have you ever wondered what a show would look like if the artists participating could do whatever they wanted, without being concerned with censorship or commercialism? 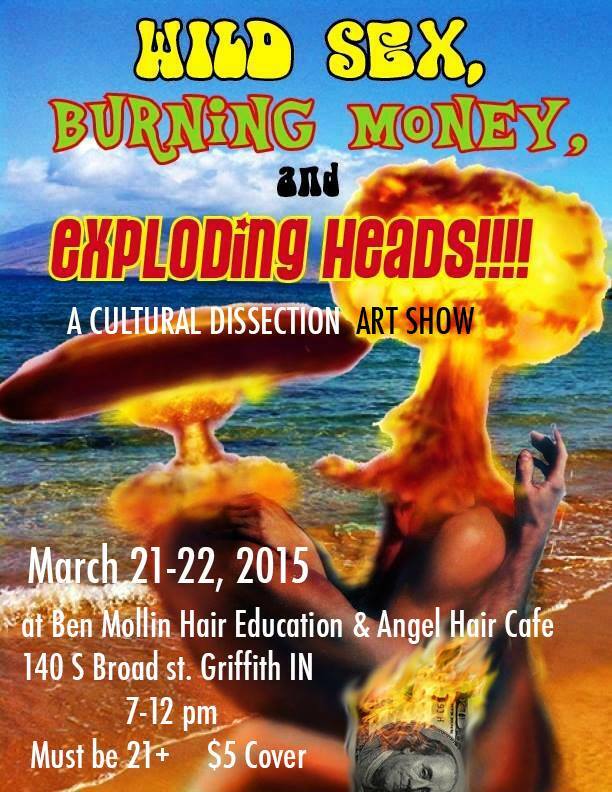 In just over a month, on Saturday and Sunday night, March 21rst & 22nd, 7pm, at BEN MOLLIN’S HAIR EDUCATION, ANGEL HAIR CAFE and the recently created 45TH STREET TATTOO,, 142 S. Broad St. in Griffith, IN, the ANSWER to your question awaits…. 21 and over please. $5 Admission at the door. Beer, Wine and appetizers will be sold. LIVE music will be provided by The RUB. This show will be history in the making for this area. Come and be a part of it. You can check out the event page here.